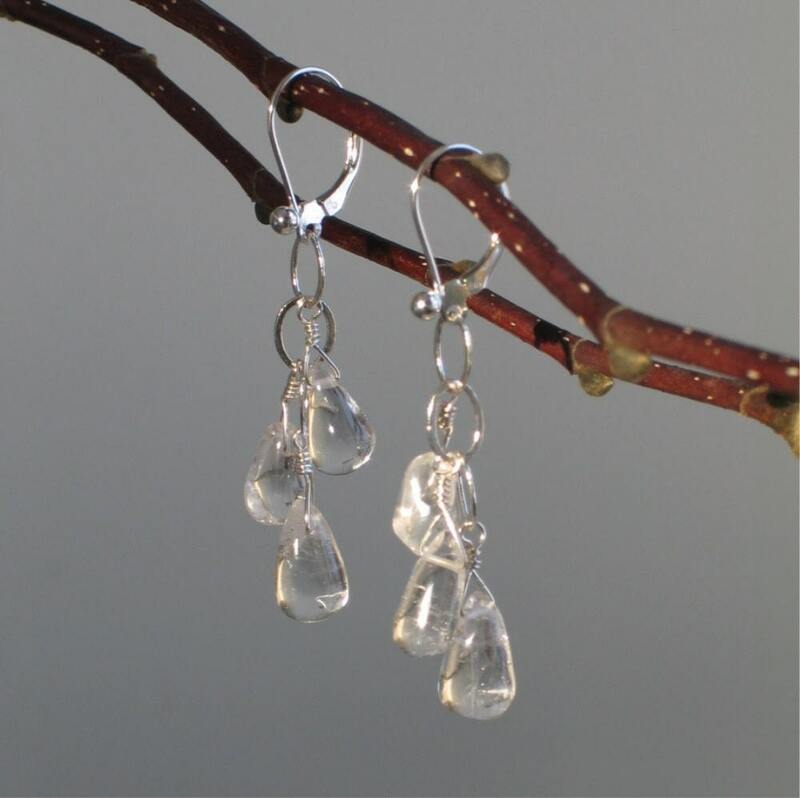 Subtly sparkling, like rain drops clinging to leaves, three clear crystal quartz teardrop beads, with subtly organic shapes, are wire wrapped to large link sterling silver chain. 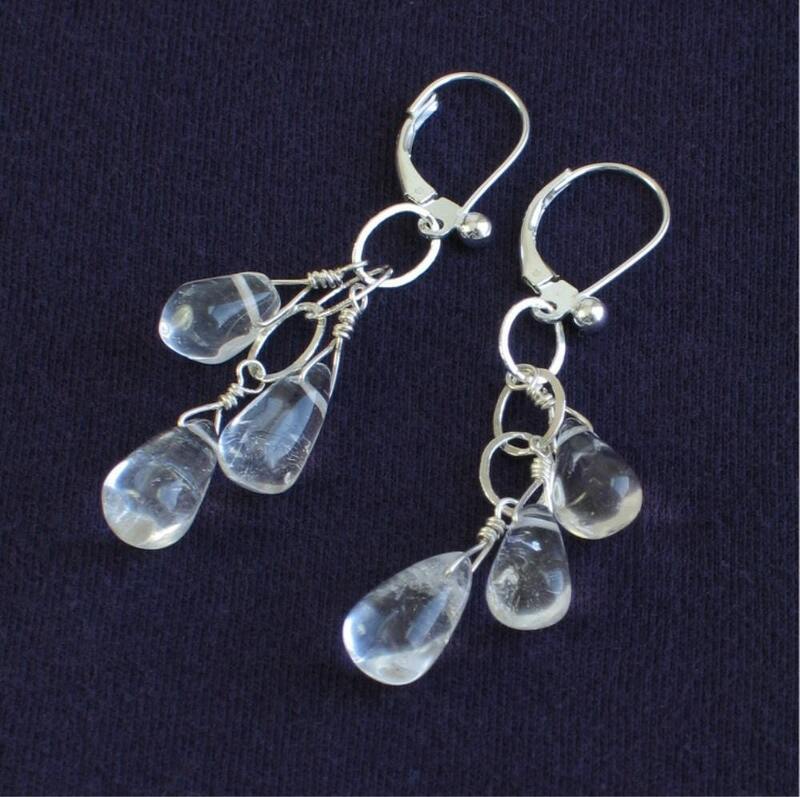 Sterling lever back ear wires with silver balls top these dangles and the earrings measure 2 1/8” from the top of the ear wire. I lived on the northern west coast, especially the Seattle area, for a few years and it did seem like rain drops were a normal part of every week. While the gloomy light can get kind of old, the sight of dainty drops of water clinging to things was endlessly fascinating to me. 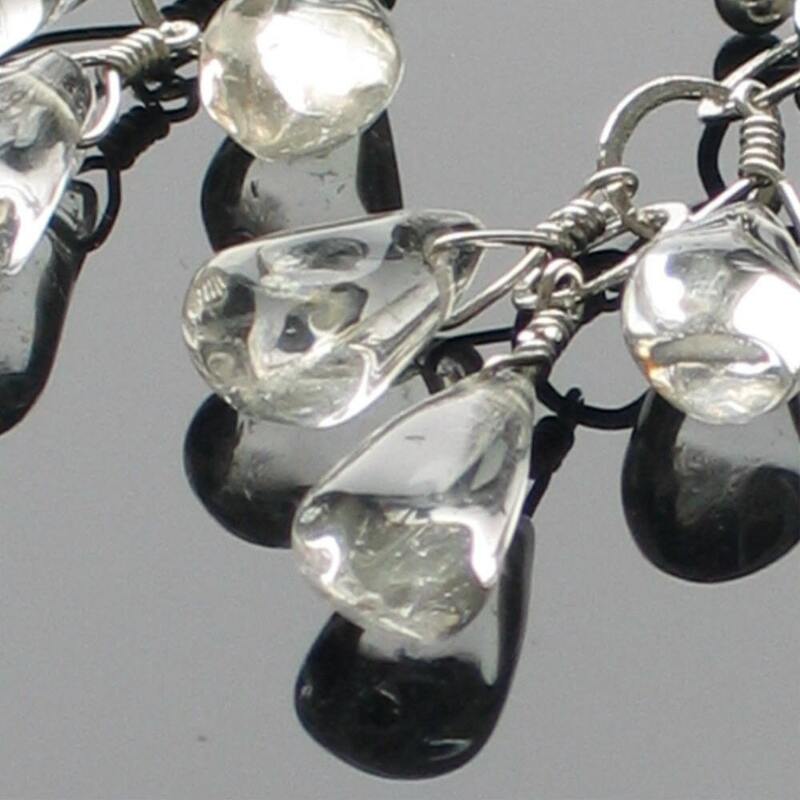 These earrings remind me of that vision. 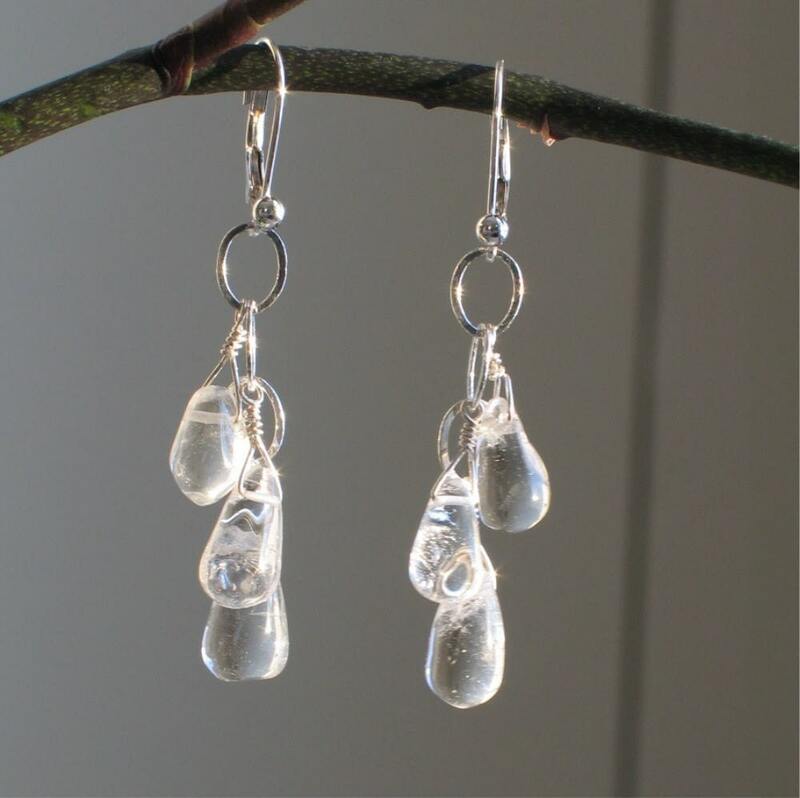 I found these clear crystal quartz teardrop stones in the shape of raindrops and let them speak for themselves. WillOaks Studio earrings are packed into signature boxes, all ready to give. Thanks for visiting and drop by again soon! 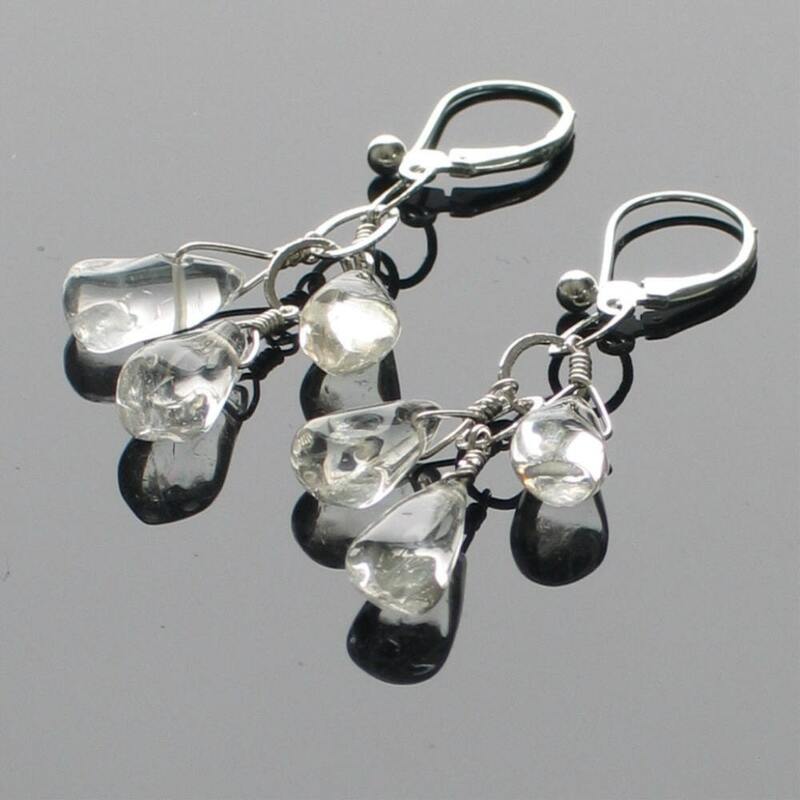 These earrings are awesome in person! The way the light reflects off the stones, beautiful! Fine craftsmanship. Shipped quickly & arrived safely in lovely packaging. Thank You! !